"Formidable…dizzying…magical.” These words from New York reviewer Harris Goldsmith vividly illustrate pianist Petronel Malan’s uniquely captivating style. Indeed, as a multiple Grammy® nominee and gold medalist of several international piano competitions, Petronel continues to enthrall audiences worldwide. Lauded by reviewers as an unmistakably creative force in the classical music industry, Petronel’s critical acclaim culminated in the nomination of three Grammy® Awards, including “Best Instrumental Solo Album” for her debut disc Transfigured Bach. Continuing her recordings under Hänssler Classic, Transfigured Mozart (2006) and Transfigured Beethoven (2008) followed to great critical acclaim. Transfigured Tchaikovsky (2012) was awarded "The American Prize of Excellence in the Arts." Transfigured Brahms included the world-premiere recordings of 4 transcriptions by American composer Lowell Liebermann. Petronel maintains a full performance schedule as recitalist, orchestral soloist and chamber musician in major venues throughout the world. After her European debut in Rome, further highlights have included Carnegie Recital Hall, Théâtre du Châtelet & Salle Cortot (Paris), Mozarteum (Salzburg), Liszt Museum (Budapest), Orchestra Hall (Chicago), Alte Handelsbörse (Leipzig), Bass Hall (Fort Worth), as well as the Ravinia, Gilmore & Music in the Mountain Festivals. Petronel has appeared with orchestras such as the St. Petersburg State (Russia), Martinú (Czech Republic), Bucaramanga (Colombia), Batumi (Republic of Georgia), Sicilian Chamber (Italy), and several others in the US and South Africa, under the batons of Vasily Petrenko, Bernhard Gueller, Karina Canellakis, Dmitry Manilov, Yoshimi Takeda, James Brooks, Robert Hanson, and Fuzao Kajima. Ms. Malan’s career was launched following five gold medals at international piano competitions throughout the United States. These included the Louise McMahon, Missouri Southern, Los Angeles Liszt “Budapest Concert” and Hilton Head International Piano Competitions. 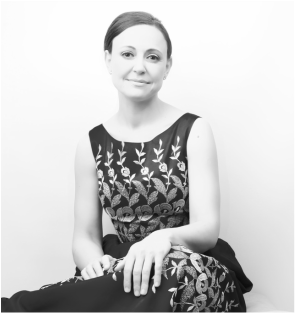 She also garnered the grand prize in the Web Concert Hall Competition (2000) and gold medals in the Grace Welsh Piano Competition and the Young Texas Artist Award. Born in South Africa, Petronel began lessons with her mother at age four, continuing with Adolph Hallis, Joseph Stanford and Albie van Schalkwyk. She debuted with the Johannesburg Symphony at age ten and subsequently won all major national competitions, before moving to the United States. Petronel completed both her graduate degrees at the University of North Texas. Her teachers included Steven de Groote, Ralph Votapek and Joseph Banowetz and intensive coaching sessions from American legend Earl Wild. Although residing in the United States, Ms. Malan continues strong ties to her native South Africa. She received the “Rapport/City Press Prestige Award” as one of the “10 Most Inspirational Women in South Africa,” and has appeared on magazine covers, fashion spreads and even as picture-clues in crossword puzzles. She was awarded both a KKNK Kanna and a KykNET Fiesta awards for her live performances in South Africa. Apart from a love for vintage gowns, Ms. Malan’s stage wardrobe is designed by foremost South African designers. A frequent speaker and promoter of classical music in schools, scholarships in her name are awarded to promising young musicians.